When it comes to home improvements, you have many different options available. It’s good to consider the various possibilities, however, because even the small choices can feel more homey, more elegant, or give a modern feel to your home. One of the options that many people consider are window treatments and some trends have come to light in recent years that are more than popular and quite beautiful. 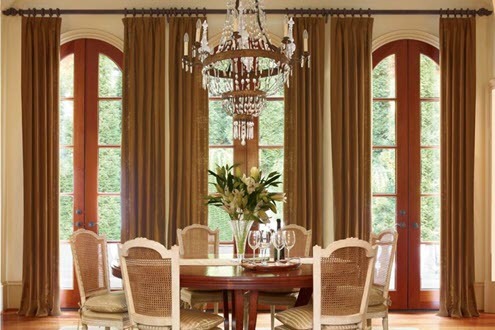 The following are some of the more prominent trends that we see in today's window treatments. We will look at some of the current trends in window fashion and design and why they have become popular among Orange County and San Fernando Valley homeowners. Today people are more concerned about protecting the environment and reducing the energy requirements for their living spaces. All window coverings from sheer fabric to cellular shades and beautiful shutters provide various levels of energy efficiency. Products like cell shades and shutters offer very high levels of energy efficiency both for retaining the heat inside your home during the winter months and stopping much of the heat from coming in during the summer months. Cell shades come in various styles, energy efficiency levels, and beautiful colors. Light control in 2017 and beyond is a significant factor in selecting the best window coverings and treatments for each family. 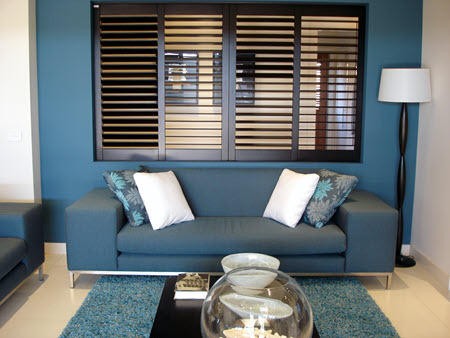 Coverings like shutters are excellent because you will have light control at your fingertips. Move the shutter louvers up and down to control both heat and light to become balanced according to your desires. Draperies can also include sheer fabrics in front of your beautiful drape fabric. 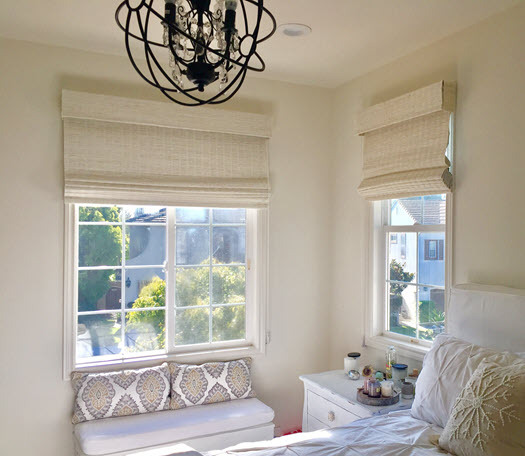 You can choose to open your drapes and keep the sheers closed providing both privacy and light during daylight hours. Another great option is top down bottom up cell shades in various décor colors to have the best of both worlds. 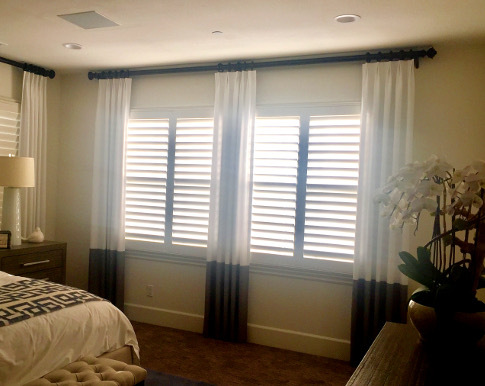 We finished off this master bedroom by adding two toned drapery panels to soften the shutters. The espresso Drapery Rod adds a nice contrast! More than likely, it took you quite some time to select the colors that you use in your home decor. Many people pride themselves on their ability to see color and stay up on the latest trends. In more recent years, red was more than just an addition to the room; it was sometimes even the focal point. Today, red is fading from popularity and blue seems to be taking over. Many homeowners in Orange County, San Fernando Valley, and all over the Los Angeles area want to create the feeling of luxury. A trend today is to use colors that resemble jewels like soft blues and deep reds colors. Even colors that resemble brushed nickel and platinum. These soft metal colors look great in the modern homes. Blue and white or even black and white have also been very popular in recent years for window coverings. You may also see other favorite colors available, such as gold and orange or brown. Of course, it depends upon what is taking place in other parts of your home, but when you consider the color carefully, you can stay up with the latest trends. Many fabrics that are considered "green" and perform well under harsh conditions of direct sunlight and humidity also include anti-microbial, anti-fungal properties woven into the fabric. Allergy sufferers can have mildew and mold resistant fabrics that also stain resistant. Non-toxic dyes in textiles can also keep environmentally conscious people happy. Using Organics - Many environmentally aware people want to choose organic materials for every part of their home. You may find this in everything from the flooring to the framing of the house, but when it comes to window coverings, you genuinely have some unique options available. If there is one thing that the trends seem to be moving toward, its simplicity. You can see this in the overall design of many window coverings, as well as in the lines that are within them. Even the hardware of the window or drapery is moving toward simplicity. Because of the popularity of simplicity, panel track systems are becoming quite popular. We can use them on doors, windows or even in larger room dividers. It is an option that you may want to consider if you are interested in staying up with the latest. Plantation shutters add a classic clean look along with adding value to your home! Beautiful shutters naturally have that elegant look and excellent craftsmanship. Shutters are the gold standard of high-end energy efficient window decor. Highly valued shutters are not only an excellent treatment choice for your windows, but they're also a long-term investment in your home. Shutters offer much more than that fantastic look from inside and outside your residence. They help control light while giving privacy and can reduce your energy bills. Standard window sizes do not exist! If your window has unique shapes or sizes, we are there for you. When we finish, you will have your own look with custom fitted shutters. These are the most desired option among property owners in today's world. The reason has to do with a love for automation, and a motorized solution is always going to be something people are after. It is one of those joyous parts of one's room that will add value in the long-term and is going to be worth it. Plus, you can control them within seconds! 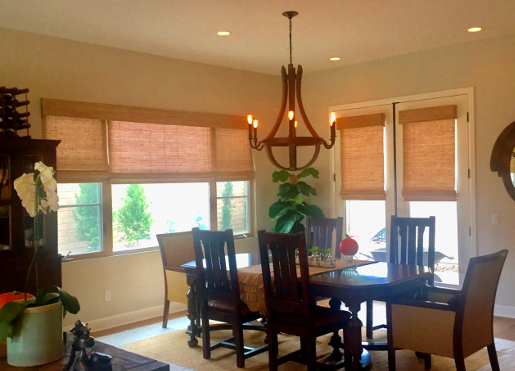 Woven Roman shades is a clean natural addition to this dining room. Bamboo is one of the favorite types of window coverings seen today. When you use a high-quality bamboo as a covering, it allows diffused light to enter the home and gives you the opportunity to see what is taking place outside. At the same time, it prevents people from seeing inside clearly during daylight hours, so it gives you the privacy you need. Woven wood bamboo shades are natural on the eyes and make it a simple task of decorating the rest of the room. Adding small details make a big difference with the latest trends when beautifying windows in today's world. They will not go unnoticed. Special touches such as draperies with tassels, metallic hardware, colorful motorized blinds, provide elegance and function to your home. 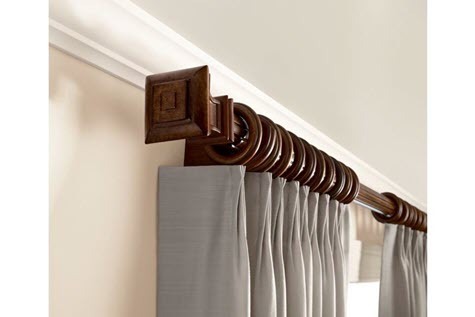 Consider the window covering hardware and colors for fabrics when creating that stylish, homey look to every room. When updating your window coverings, make a quality plan with your window fashion designer, and you will be much happier with the outcome. Conclusion: These are the best trends on the market right now, and it all comes down to what you prefer as a property owner. 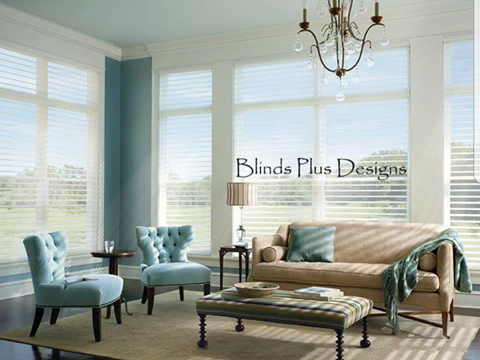 Some may prefer the idea of going with plantation shutters while others like woven wood shades. It is all about getting a feel for what you like and then looking at the layout of your room. 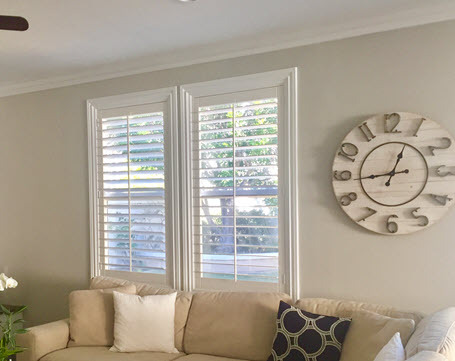 For rooms that need a lot of light, you may want to keep things simple and have plantation shutters while places with a lot of light coming in might enjoy the motorized blinds. It is all about labeling the room and putting something special together.